There’s no better way to grow your organization than to free up your administrative time! Less administrative work means more time to dive into strategies about growing your membership and strengthening your organization. James Shinners, the President of the Canadian Mortgage Brokers of Association Atlantic Canada (CMBA Atlantic), shared his story about the success of automations and how he was recently able to launch a directory to better promote his members! Like many other associations, board members like James make a living working at a full-time job but are also volunteers for the association. Time is always a high demand! Before they became Membee users, they were running their small membership-based association through “excel spreadsheets, (they were) doing manual work that was highly labor-intensive,” James shared. While automations help the association spend less time on the heavy administrative work, they also get to start focusing on expanding their association. CMBA Atlantic decided to become more consumer-facing on their website. They built a directory for their consumers to look for a mortgage broker, but also have an exclusive, member-only directory for industry partners hidden via a Membee login. 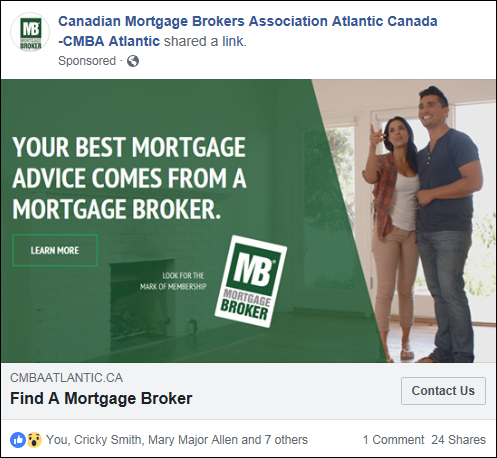 For a couple of months, CMBA Atlantic has been promoting their consumer-driven, mortgage brokers directory through a Facebook Ad to reach a demographic of consumers who have searched for mortgage information, mortgage calculators and even real estate related searches – this is an innovative way to use social media to drive traffic! Using Facebook ads allow you to set the demographic you want to reach to better target your ad. Additionally, you can see the ads insights almost immediately, allowing you to gauge the success of the ad. What better way to promote your directory by placing this powerful resource right into your consumer’s hands! 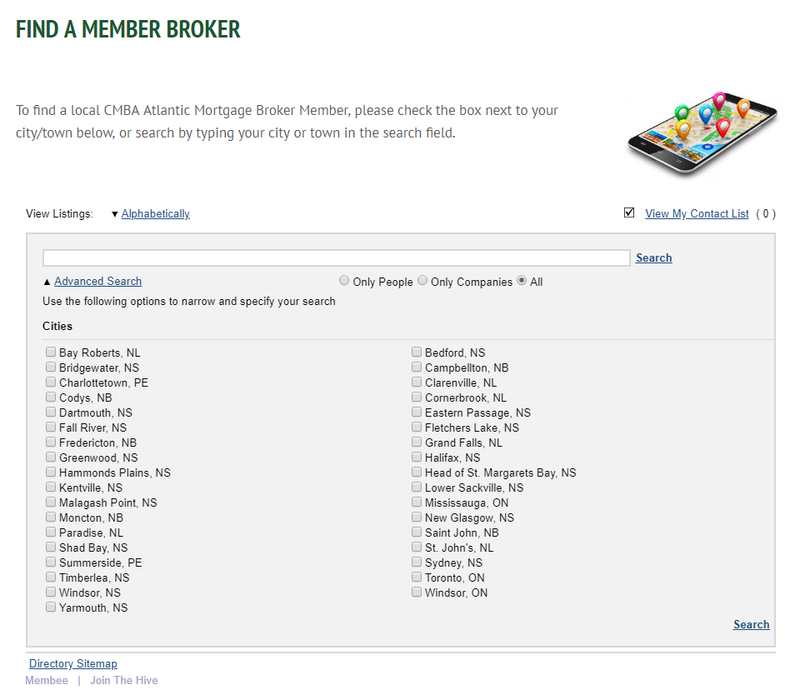 The Canadian Mortgage Brokers Association – Atlantic is a not-for-profit based in Halifax, Canada! They represent mortgage consumers and mortgage brokers in all four Atlantic Provinces with regulators and industry partners. CMBA Atlantic exists to support and enhance the professionalism and ethical standards within the growing mortgage broker industry of Atlantic Canada. They use Membee to establish a members-only area on their website, manage their membership life cycle, and organize events to complement their growing membership! To visit their Facebook and Website, click on the icons below! Questions? Want to Share Your Story? To learn more about Membee’s directory feature, jump to our guide by clicking here (Membee login required).